On Friday afternoon I went to pay my respects at Paul's funeral at Manor Park crematorium. Paul was a Forest Gate North and West Ham Labour activist who also lived round the corner to me. 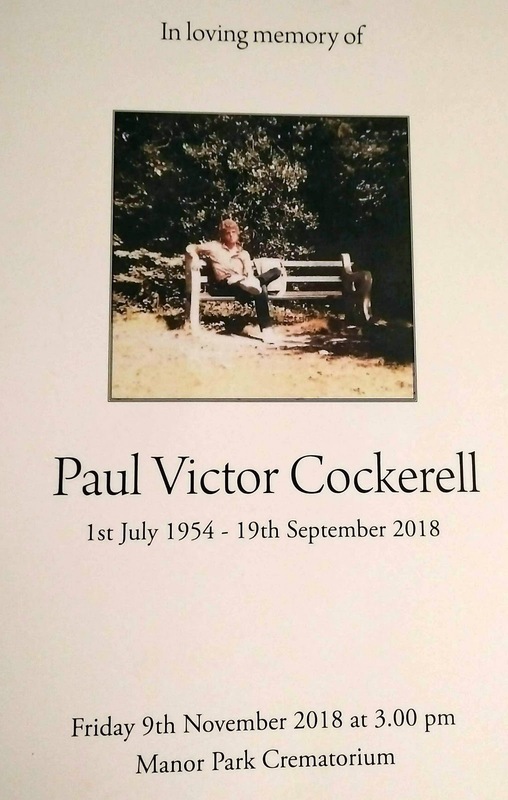 A lovely non religious service for a life long socialist, trade unionist, music lover & West Ham FC supporter. I sat next to a UNISON staff member who remembered the kindness of Paul and his wife Sue, 30 years ago to him when he was a student living nearby. 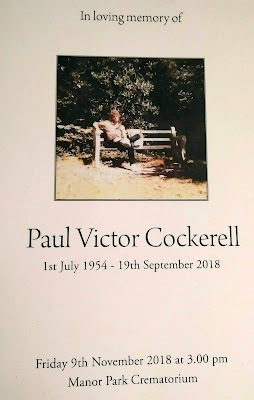 Some wonderful eulogies from his niece, lifelong university friend and neighbour. Then typical generous East End wake at the Forest Gate Tavern. Very sad to hear this news. I randomly googled up Paul's name today (in a where is he now kind of way, which may be to do with the collective unconscious, who knows) and saw your post. I worked with Paul at Ford in the early 1980s. A lovely guy, intelligent, caring, dry sense of humour, and true to his socialist principles then as later.